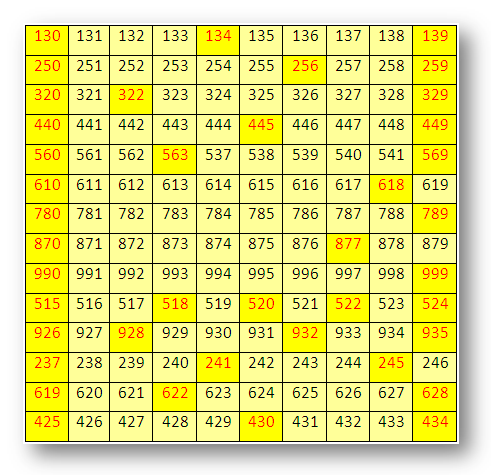 Practice the questions given in worksheet on three-digit numbers. The questions are based on writing the missing number in the correct order, patterns, 3-digit number in words, number names in figures, place value and numbers in expand form. (i) 224, 226, 228, ……, ……, ……, ……, …… . (ii) 327, 330, 333, ……, ……, ……, ……, …… . (iii) 405, 410, 415, ……, ……, ……, ……, …… . (iv) 506, 516, 526, ……, ……, ……, ……, …… . (v) 129, 229, 329, ……, ……, ……, ……, …… . (vi) 613, 623, 633, ……, ……, ……, ……, …… . (vii) 875, 879, 883, ……, ……, ……, ……, …… . (viii) 941, 945, 949, ……, ……, ……, ……, …… . 7. Write the place value of each digit in 703, 940 and 238. (i) In 703 the place value of 7, 0, 3 are ……, ……, …… . 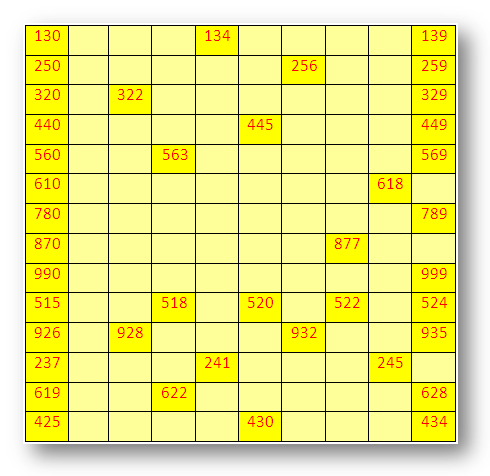 (ii) In 940 the place value of 9, 4, 0 are ……, ……, …… . (iii) In 238 the place value of 2, 3, 8 are ……, ……, …… . Answers for the worksheet on three-digit numbers are given below to check the exact answers of the above questions on 3-digits. 2. (i) 230, 232, 234, 236, 238. (ii) 336, 339, 342, 345, 348. (iii) 420, 425, 430, 435, 440. (iv) 536, 546, 556, 566, 576. (v) 429, 529, 629, 729, 829. (vi) 643, 653, 663, 673, 683. (vii) 887, 892, 896, 900, 904. (viii) 953, 957, 961, 965, 969.